Mike Pompeo’s message was preceded by the visit of Iranian foreign minister Zarif to Islamabad and Imran Khan Government’s outright expression of support to Iranian stand in the face of Trump’s threat to rescind the nuclear deal. Pakistani foreign minister’s mind was also worked about the New Delhi visit of the US high-power delegation likely to take place after about a week of its visit to Islamabad. By raising the controversy Pakistan government wanted to give a message to the people that the US had taken the first initiative for rapprochement in bilateral relations that had begun to nosedive with the famous remark of Trump that “we gave billions of dollars to Pakistan and in return, they gave us lies and deceit.” Qureshi’s compulsion of distorting the factual message reflects discomfiture caused by Washington’s insistence on “do more”. Pak Foreign Minister’s attempt to dilute the content of the telephonic talk becomes meaningless when we focus on Pentagon’s overview of Pak-US relations with reference to the fighting in Afghanistan. The denial could also be an attempt to dodge the closely guarded commitment that Pakistan army top brass might have made to their counterparts in Washington. What was the army top brass of the two sides talking about all these months? In a statement given at a briefing in the Pentagon the spokesman Mr Faulkner said “Since January, they have consistently engaged with Pakistani military officials at the highest levels, based on both a shared commitment to defeat all terrorist groups that threaten regional stability and security, as well as on a shared vision of a peaceful future for Afghanistan”. Does Pakistan army now want to make the scapegoat of the civilian government for wriggling out of the broad frame of a formula worked out during these parleys for ending Afghan crisis? Evidently, the issue at hand is Afghan war and Pakistan’s hand in fuelling its flames. Noting that repeated warnings to Pakistan to deny safe haven to Afghan Taliban, particularly the Haqqani and Let networks fighting the US-led NATO forces have fallen on flat ears, Trump administration put into practice its three-point agenda of containing global terrorism with epicentre in Af-Pak region as was announced by him in his speech in Saudi Arabia last year. He earmarked three facets of US’ new strategy for South Asia viz. (a) stripping terrorists of their territory (b) cutting off their funding and (c) exposing the false allure of their evil ideology. “Terrorists are nothing but thugs, criminals and predators”, he had concluded. Referring to Afghanistan and Pakistan in his Camp David speech last year, President Trump had underlined the basics of his strategy as (a) stopping resurgence of safe havens and (b) preventing nuclear weapons and materials being used against us or anywhere in the world. This very emphatically suggests that Trump administration’s main concern is to find a mechanism that would deny the terrorist groups in Af-Pak region access to Pakistan’s nuclear arsenal. Trump administration’s indication of discouraging IMF to bail out Pakistan with 9 billion dollar loan from its crumbling financial crisis is in addition to the cancellation of US dollars 300 million aid to Pak army. The loud and clear warning has come on the eve of the visit to Islamabad of a high powered US government delegation. Pakistan foreign minister Qureshi is trying to minimize the adverse impact of the cancellation of a hefty amount of aid by raising flimsy technical issues. However, Lt. Col. Kone Faulkner, the Pentagon spokesman in an email to the AFP made clear why the US had blocked the amount of aid. He said, “Due to a lack of Pakistani decisive actions in support of the South Asia Strategy… $300m (actually $323.6m to include non-Pakistan funds) was reprogrammed by the Defence Department in the June/July 2018 time frame for selected urgent priorities”. This statement touches on the essence of the irritants between the two countries. 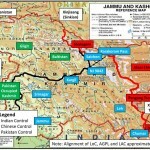 It found reverberation in the statement of the Chairman of the Joint Chiefs of Staff Committee General Joseph F. Dunford, who also had attended the Congressional briefing, that the US had “permanent interests in South Asia” and wanted to “maintain a presence (there) to have influence in that region”. Incidentally, General Dunford’s inclusion in the delegation dispels the impression that this was not a proper visit but just a stopover, as US State and Defence Secretaries were both going to be in New Delhi next week for the first two-plus-two talks between the United States and India. “Another critical part of the South Asia strategy for America is to further develop its strategic partnership with India — the world’s largest democracy and a key security and economic partner of the United States. We appreciate India’s important contributions to stability in Afghanistan, but India makes billions of dollars in trade with the United States, and we want them to help us more with Afghanistan, especially in the area of economic assistance and development. We are committed to pursuing our shared objectives for peace and security in South Asia and the broader Indo-Pacific region”. As for the second pillar meaning “cutting off their funding” the Trump administration has taken two explicit steps viz. using its clout with IMF to obstruct bailing out Pakistan from financial crunch and cancellation of 300 million US dollar aid, a proposal waiting Congressional determination likely to come before the close of September. Curiously, Pakistani foreign minister Qureshi has disputed the $33b figure quoted by President Trump, insisting that around half of the money relates to reimbursements. His contention about the cancelled aid is that the payment, which the US is now considering scrapping, is, in fact, the support coalition fund. “This is not an aid of any kind that can be suspended,” he said. “This is actually the payment of expenses incurred by us during the war against terrorism.” However, forcefully rebutting Pakistan’s contention, Pentagon spokesperson Faulkner analysed the US stand as this. “Unfortunately, recent reporting has distorted the details of the Coalition Support Fund (CSF) by stating several things out of context. The suspension of security assistance to Pakistan was announced in January 2018. The CSF is included in the suspension and it remains in place. This is not a new decision or a new announcement, but an acknowledgement of a July request to reprogram funds before they expire. Reminding Pakistan that since January, they have consistently engaged with Pakistani military officials at the highest levels, based on both a shared commitment to defeat all terrorist groups that threaten regional stability and security, as well as on a shared vision of a peaceful future for Afghanistan. He made it clear that the US “continues to press Pakistan to indiscriminately target all terrorist groups, including the Haqqani Network and LeT, and we continue to call on Pakistan to arrest, expel or bring the Taliban leadership to the negotiating table.” Asserting that 2018 DoD Appropriations Act, published on March 23, details $500 million was rescinded by the Congress. He dismissed the Pakistani stand by arguing that owing to a lack of Pakistani decisive actions in support of the South Asia Strategy, the remaining $300 million was reprogrammed by the Department of Defence (DoD) in July 2018 time frame for other urgent priorities before the funds expire on September 30. In final analysis the message brought to Islamabad by the US delegation boils down to this: Sever all links with Taliban terrorist groups including Haqqani and LeT networks; become our partner in new South Asian strategy of uprooting terrorism of all hues and in stabilizing peace in the region; ensure that nuclear weapon and material does not fall into the hands of terrorists. In return, we shall restore the process of giving the aid money and develop a sound partnership in bilateral trade and commerce. Evidently, Pakistan will make a deep study of the repercussions of dropping down the Haqqani and LeT networks as that would amount to the all-time departure from the policy of carving strategic space westward and eastward with focus on Afghanistan and Kashmir. Islamabad will also carefully study the outcome of the US high-level team’s parleys with the Indians next week. Interestingly, New Delhi has done some advance spadework in J&K as a complement to the US’ theorem of stripping terrorists of their territory. Dismissal of the PDP-led coalition government was part of cooperation for counter-terrorism. The continuation of the process will see the revival of the suspended assembly to prop up a government with far less commitment to the spectre of separatism and fundamentalism. Islamabad will closely watch to what extent the US high power delegation will gravitate to the Indian perception of terror phenomenon in South Asia. In the impending 2 + 2 meets in New Delhi, the status of Sino-Russian forays into South Asia and India-Pacific politics is likely to be the keynote subject for discussion. Remember that the Chinese foreign minister is expected to show up in Islamabad soon after the departure of the visiting US delegation. The US has wasted enough time, money and many soldier’s lives for the past nearly 30 years. Time to do something more strategic to achieve immediate results, though the risk maybe high with casualties and a possible nuclear exchange. Since India is now ‘almost’ a member of NATO, why not India just retake PoK with full political and military support from the US. 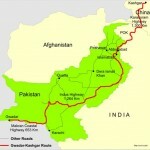 This will permanently remove the strategic advantage that Pakistan has – lank link to Afghanistan, which they have been exploiting for their own selfish reasons. The other big advantage is that this will permanently make irrelevant the concept of CPEC whose aim is essentially to provide a direct link for China to the Arabian sea, bypassing the critical choke point and vulnerability – Straits of Malacca. So two birds in one stone! is the US and India game for this? I can’t review the last time I delighted in a bit of composing the same amount of as this one. You have gone past my desires on this theme and in addition, I absolutely concur with your focuses. You’ve done well with this.